I don't think there was ever a time in my life when my family didn't own a fur baby. From my very young baby days into my adult years, I've always lived with and loved my four legged family members! We've always taken in rescue dogs and majority of the time had a difficult time determining their breed or history because they were a mixed-breed dog. I was recently introduced to Wisdom Panel® and as an animal lover, I knew I had to find out more about their Canine DNA Test! 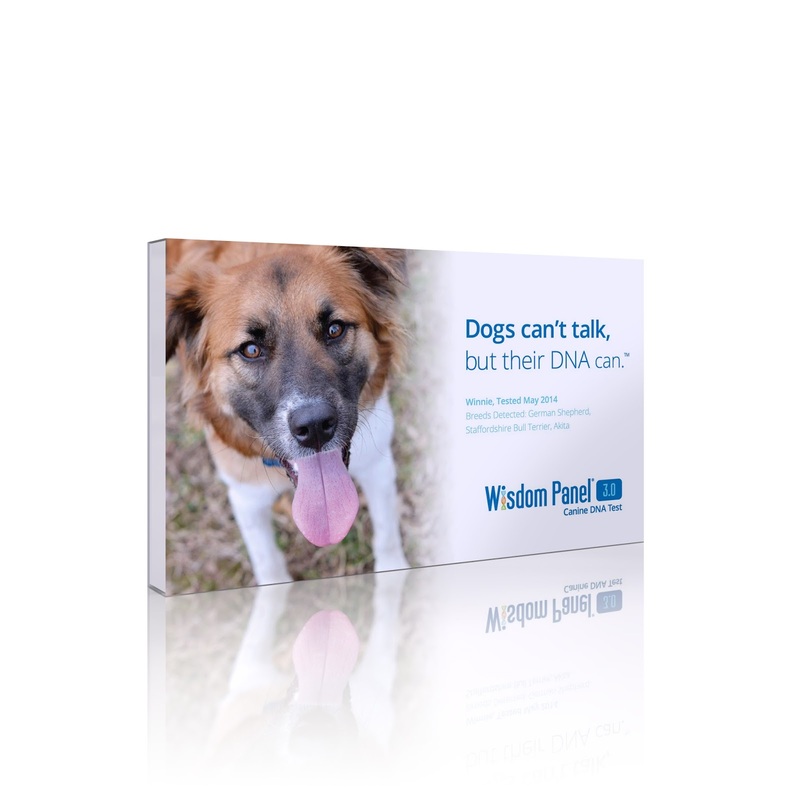 Mars Veterinary is the industry leader when it comes to canine genetic testing and they just launched a brand new product - the Wisdom Panel® 3.0 Canine DNA Test! This unique DNA test will reveal your dog's genetic background, provide a predicted weight profile and test for the MDR1 genetic mutation and more! Wisdom Panel® 3.0 covers more than 250 breeds recognized by the American Kennel Club. So why is DNA testing important? As dog owners, if we can understand the breeds that make up our dog, then it allows us to provide more targeted care, nutrition, training and more! Who wouldn't want to know more about their beloved canine? So how does it work? Use a cheek swab to collect the DNA sample, then send the swab(s) into the laboratory. Once the lab has received your sample, it's scanned into the Wisdom Panel® database and assigned to a batch for testing. The swab is examined for 321 markers used in the test, then it's sent to a computer that evaluates them using a propriety algorithm that is designed to consider all of the possible pedigree trees in the last three generations. It typically takes about 2-3 weeks for results if you chose to mail in your sample. The Wisdom Panel® 3.0 Canine DNA Test Kit can be purchased online for $84.99 and includes - instructions, DNA cheek swabs, drying insert for swabs and a pre-paid shipping label and box. Wisdom Panel® will be at the Holiday Pet Festival on December 5th in Scottsdale, AZ for you to swab on site or purchase a take home kit! Be sure to stay connected with Wisdom Panel® on Facebook , Twitter, Instagram and Pinterest!